This list of stocks is for investors who are living off their dividend income or aspire to do so. It follows the tried and tested route of selecting big, reliable dividend payers in defensive industries with market-beating yields. I’m not going to win any awards for picking British American Tobacco as it’s such an obvious choice. The preference among many investors to avoid tobacco and the risks from ever-tightening regulation keep the company on low valuations for one with such a successful track record. If you can stomach the ethical issues and accept the regulatory risks this stock offers a very attractive combination of yield today and growth tomorrow. Again, this isn’t rocket science. As one of the “Big 6” energy companies SSE (formerly Scottish and Southern Energy) supplies the UK with energy and historically that has given the company relatively progressive growth in terms of revenues, earnings and dividends. SSE is committed to raising its dividend at least in line with RPI inflation, which typically outstrips the official CPI inflation figures. Of course there are no guarantees that it will be able to do this, but it’s certainly something the company has managed in the past. Even though the shares are up by almost 5% as I write, as fears of Labour’s “price freeze” dissolve after the Conservative general election victory, its yield is still well above the FTSE 100’s. What surprises me about this list is how obvious these selections are as relatively low risk, progressive dividend choices. But then again I guess the big banks were obvious choices for low risk, high yield investors and look how they turned out. So here we have another household name that has raised its dividend for many years and at a rate that far outstrips inflation. As long as they avoided the dot-com boom and its associated ridiculous prices, most Vodafone investors have done well over the past decade and a half. Last year Vodafone shareholders had a massive return of cash after the company sold off its share of Verizon, and of course that won’t be repeated this year. But assuming the company is able to sustain and grow that dividend the current 4.7% yield looks very attractive. In its most recent quarterly results Glaxo announced that it would be holding its dividend at 80p for the next three years, so its long record of progressive dividend growth is about to come to an end. To make up for that expected lack of growth, as well as fears from some investors of a dividend cut, Glaxo’s yield today is more than 50% above the FTSE 100’s. This company, along with AstraZeneca, has long been a favourite of a certain Mr Woodford, although of course that does not guarantee its future success. BAE Systems, the aerospace and defence company which is also the UK’s largest manufacturer, is another company which many investors prefer to avoid. Like tobacco, defence companies are off the buy list for a large number of institutional and private investors which is one of the reasons the company trades on relatively low valuations. For those who are not avoiding defence companies for ethical reasons, BAE at its current price offers a dividend yield which is slightly above the market rate and the potential for long-term, inflation-beating growth (although as ever, no guarantees). Whilst a high dividend yield and a long history of progressive dividend growth are nice, I don’t think either is enough to base an investment decision on. There are a whole bunch of other things that you might want to consider, from a company’s financial strength to its profitability and defensiveness. 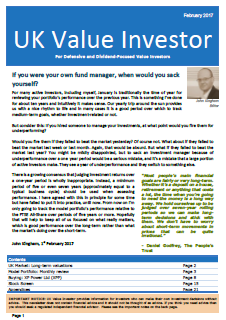 You might want to look at these investment questions and maybe even run through them using one of the companies above. Even if they don’t affect your decision to invest or not, you’ll probably end up knowing far more about the company than you did before (which for an active investor is generally a good thing). nervous about owning individual companies but at the same time I like the strategy. and love receiving those divs! 1) Holding more stocks with smaller positions in each (although I generally don’t like to hold less than £1k in each holding and I aim at 30 in total with about 3%-4% in each. 2) Looking at the value of the overall portfolio rather than the share prices of each company. It’s not unusual for one or two of my holdings to go up or down by 20% in a single month, but overall these wild swings cancel out and the portfolio rarely changes by more than a few percent in that time. 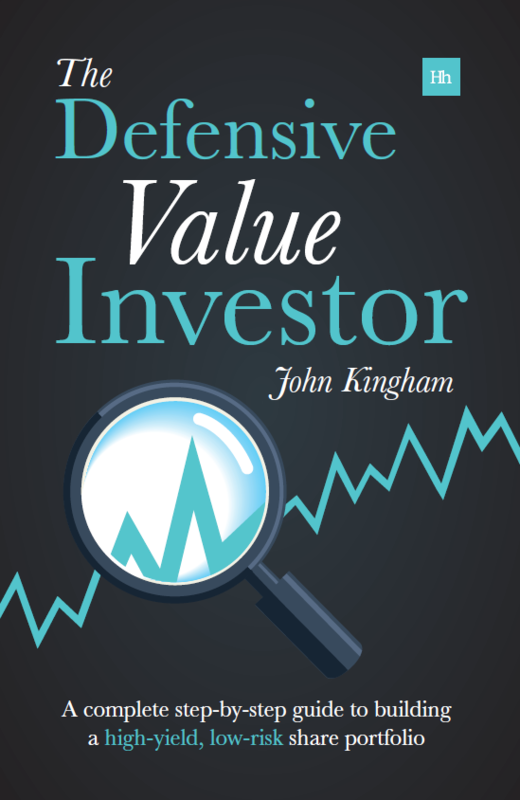 3) Looking at the dividends rather than the value of your holdings. This is even less stressful than looking at the portfolio’s overall value. Dividends are always positive (they never take money out of your account!) and are typically more stable than share prices. Hopefully that’s some food for thought anyway. I do have 16 companies with about £2,300 in each. overall im £1000 up on the total portfolio value. a couple are showing looses that’s normal, the ones showing gains compensate. Each holding is about 3.5% of my total equity investments which is ok. no more than 4 % in each as you say. Ive had a div return of 4% [after 10% tax] in 12 months. A FTSE 100 tracker yields 3.5 % so im thinking new money may go this way. what Richard said about his 50% div reduction puts me right off div paying ETFs . makes me want to stick with shares. Tesco though, was an un settling experience. pressing the button on a £600 capital loss was painfull but Dividened Mantra [USA] said sell and reinvest so I did [ added to GSK]. Something Richard may want to think about. having to make those decisions. I think, split portfolio, some shares and some trackers . or investment trusts. Yes diversification is more about the size of each holding relative to your entire portfolio than just the number of stocks. A lot of people think my 30 holdings is too many, but they represent effectively 100% of my pension, whereas if you have 16 stocks which are each below 4% of your portfolio then 16 may well be a reasonable number. Actually that’s probably what most stock pickers do; have say 50% in funds and 50% in shares, in which case 10-15 holdings may be fine. As for Tesco, I still hold it as I believe that in most cases high quality companies that cut their dividends will generally rebound over the next year or so. It’s just a different approach to selling dividend cutters and it has worked well for me so far (although of course there is an element of luck in all these things). Thanks for the ideas John. I often notice portfolio similarities in the companies you have held (as covered in your reports) and some of the companies I have held. Sometimes you report a sale soon after I’ve sold the same company. However this time we have no overlap (although I was once a Vodafone holder). The ideas you’ve listed fail my own “buy” criteria for various reasons such as balance sheet factors and free cash flow to dividend, but not necessarily by enough to trigger a sale if I did hold them. Of course, you do say, “There are a whole bunch of other things that you might want to consider, from a company’s financial strength to its profitability and defensiveness”, also of course it is different views that makes a market. My buy criteria may also be a bit on the overly prudent side. And I very much agree with, “Looking at the dividends rather than the value of your holdings.” This is one of the key planks to my own investment management strategy (although I still look at the daily Mr Market valuations, but just for fun, and take it about as seriously as looking at a horoscope). Yes it’s amazing how a few changes in approach between one investor and another can result in completely different companies looking attractive, or the same companies having completely different “intrinsic value” estimates. That’s why the market is so volatile, with all those competing viewpoints, not to mention traders who don’t even consider fundamentals or “funny-mentals” as they sometimes call them. Vive la volatility I say, as it enables us to buy low and sell high, however we define “low” and “high”. I am shortly to go to part-time working as a first step to full retirement and shall need to supplement my income by drawing dividends which up to now have been re-invested. I am lucky in that I have a state and occupational pension which together give me a basic, guaranteed indexed income, but I also have substantial SIPP and ISA savings in a dividend bearing global ETF which I hope will raise my retirement income from adequate to comfortable. The tracker is relatively cheap, well diversified and needs minimal maintenance, but the last quarterly dividend was down on the same quarter of the previous year by almost 50%. As a novice, I’m wondering whether this is the start of a prolonged decline in the yield or a just a blip. Like Dawn I am nervous of direct investment in companies but your article and advice to Dawn has once again set me wondering if that might be the more profitable if riskier option. No fund management charges of course and my intention would be to buy and hold. 30 stocks seems a lot of companies, however but presumably needed for diversity. Pros and cons? First of all I would say you really need to have some sort of interest in investing before moving from funds to directly owning shares. It’s quite a different ball game. With your global ETF you have a single fund that you never have to touch. I expect tt will always pay a dividend and if it is a diverse fund with hundreds of thousands of stocks, I wouldn’t expect the dividend to be very volatile either (so I’m surprised by the 50% drop you’ve mentioned). When you invest directly in companies you have to hold lots of them if you want to be diversified (some say 15 is okay, but then each company is 7% of the total, which makes me nervous so I hold 30, where each company is approximately 3.5%). That’s certainly more bother, although generally it only takes me an hour or two each week to keep up to date with announcements and other things. Then you might want to sell a company, say if it suspends its dividend, so there is some degree of active trading involved. Although here again it doesn’t have to be a daily or weekly thing as in my case I limit trading to one buy OR sell decision each month. There are potential rewards of going the stock picking route, but of course there are higher risks as well, although you can certainly try to reduce those by being highly diversified and sticking to “good” companies with strong balance sheets and so on. Although Tesco and the big banks show that even “defensive” companies can go wrong (hence the need for diversification). So there are a lot of pros and cons. Perhaps you could try out a virtual trading account for a few months to see how you get on. I did that for a while many years ago and then moved onto putting a few hundred pounds in a few companies to see how it “felt” to invest directly with real money. As I built up confidence I eventually moved to 100% direct share ownership. But it is a very personal decision to go with either funds or shares, or perhaps one to be gone through with a financial advisor. Your comments have clarified things a good deal and a virtual portfolio is an excellent idea. I shall have a go. read my reply to John above. Probably an obvious question but why no banks on the list? HSBC and Stan Chart are yielding very nicely for example. I’d be interested to hear your thoughts. You’re right, Standard Chartered and HSBC both have a nice 5%-plus yield and a long history of paying dividends, but in GBP terms those dividends haven’t increased in every year out of the last 10. HSBC cut the dividend in the financial crisis and Standard Chartered failed to raise it in GBP terms in 2013. It’s the same with Shell; it has a progressive dividend but in GBP failed to raise it in every year because of exchange rate fluctuations. Personally I would say Standard Chartered and Shell deserve to be in the list on merit, but are out because of those forex technicalities. Also it’s a list of only 5 stocks so something had to get the chop! Only 2 out of 5 for me here. I hold GSK (by far my largest holding) and SSE. I don’t hold BAE Systems but I am seeing it as increasingly likely as the price is currently floating down to a very, very attractive level at the moment. Vodafone I think looks interesting. However, until I see them bearing some fruit from their post-Verizon Wireless activities I am cautious of investing. In the meantime, I am holding BT and (maybe less relevantly) Sky. British American Tobacco is fascinating. I like it a lot as a company but currently hold Imperial Tobacco instead. Whether or not I would open a position in BATS as well I am unsure. One tobacco company may be enough for me! You’re absolutely right about dividends. Their lower volatility makes them much more useful to use as a yard stick on your progress as they don’t usually result in you making rash decisions. Also, if you’re planning on living on your dividends they are the most relevant thing to be thinking about! Hi DD, your point about Vodafone is a good one. Looking at their track record of returns on capital employed I think most of the Project Spring money will produce weak returns and would have been better paid out to shareholders. Vodafone would have been smaller as a result, but size is not the point, rate of return is the real measure of success (unless you’re the directors whose pay is typically closely correlated with the size of the company). But of course we can’t control that sort of thing so we have to wait and see how it pans out; me as a shareholder and you as a potential shareholder. Hopefully they’ll see the error of their ways and pay out another massive special dividend, but I doubt it!